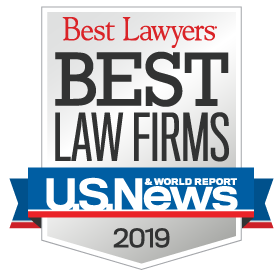 Steven M. Goldsobel, of the Law Offices of Steven Goldsobel, A Professional Corporation, is of counsel to Miller Health Law Group in health care fraud defense and litigation matters for our clients. Steve is a former federal prosecutor who served in the U.S. Department of Justice, Tax Division, Criminal Enforcement, and the U.S. Attorney’s Office, District of Columbia, as a Special Assistant U.S. Attorney. Before founding his own firm, Steve was a partner of the White Collar Crime Practice Group and Trial Department of the international law firm of McDermott, Will & Emery. Steve’s service as a federal prosecutor has equipped him with a unique perspective to counsel and advise clients facing criminal investigations and indictments. He has extensive practical experience in a wide variety of white collar criminal matters, including health care, tax, securities and environmental violations; money laundering; bribery and the Foreign Corrupt Practices Act, to name a few. As a result, Steve regularly interacts with representatives of U.S. Attorney’s Offices across the country, the Office of Inspector General of the U.S. Health and Human Services, the Federal Bureau of Investigation, the Internal Revenue Service’s Criminal Investigation Division, the Securities & Exchange Commission, the California Attorney General’s Office and local law enforcement. Steve also represents clients in business disputes and other civil litigation matters in federal and state courts, as well as in arbitration proceedings. 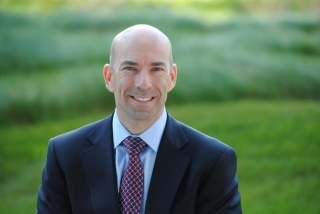 Steve has been recognized as a Super Lawyer of Southern California in 2009 through 2018 and a Rising Star Super Lawyer of Southern California in 2005 through 2007. Steve was the 2006-07 Chair of the Criminal Law Section of the nationwide Federal Bar Association. Steve is Chairman of the Executive Committee of the Healthcare Law Section of the Los Angeles County Bar Association and a member of the White Collar Crime Section of the American Bar Association. Steve’s healthcare fraud defense, litigation and dispute resolution team includes Mark Sedlander, Esq. and Komal Mehta, Esq. Click HERE to review Mark and Komal’s CVs. Steve is a 1993 graduate of Loyola Law School, Los Angeles, and a 1990 graduate of the University of California, Santa Cruz.